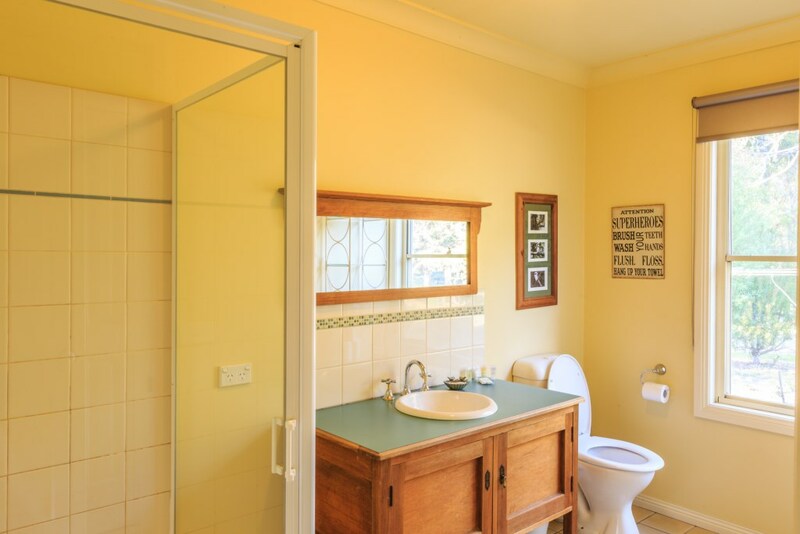 Unique country homestead set on 50 peaceful acres, a short drive from Lakes Entrance & Metung. Pet friendly, wheelchair accessible, & can sleep up to 10. 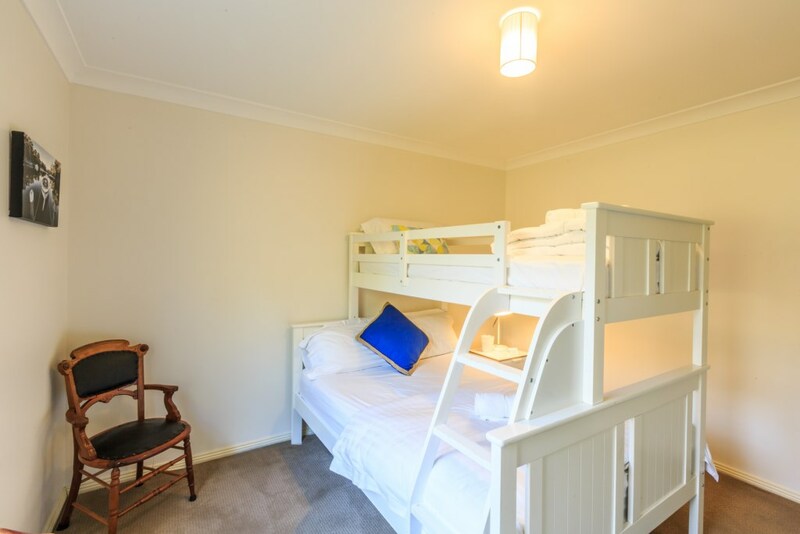 Country House Retreat offers a true country escape conveniently situated between Metung and Lakes Entrance but worlds away from the holiday crowds. 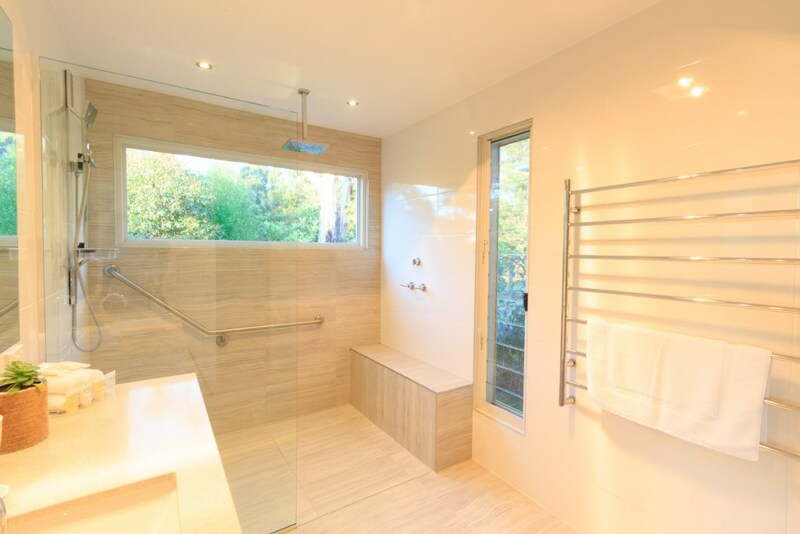 You will be swept away by the experience this contemporary homestead provides. 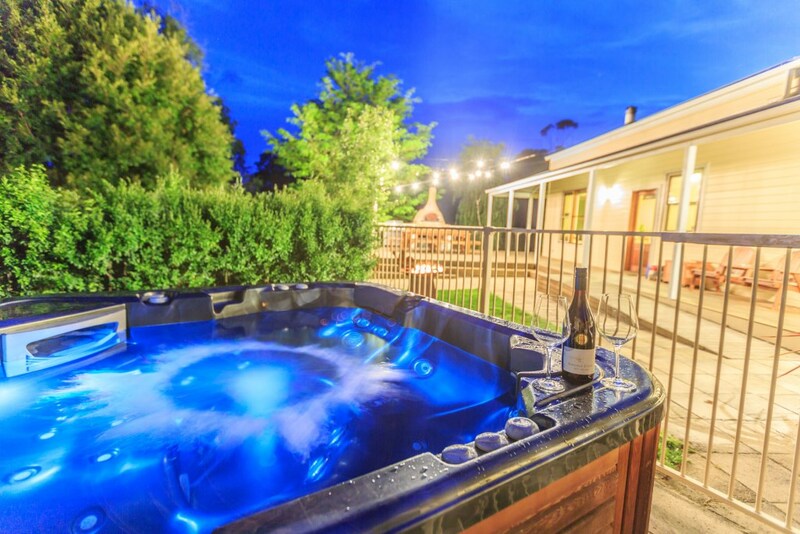 Features include large entertainment deck with pizza oven, BBQ and outdoor dining, outdoor heated spa, four bedrooms and 2 bathrooms (one wheelchair friendly), modern kitchen with open plan dining, plus comfortable leather lounge. 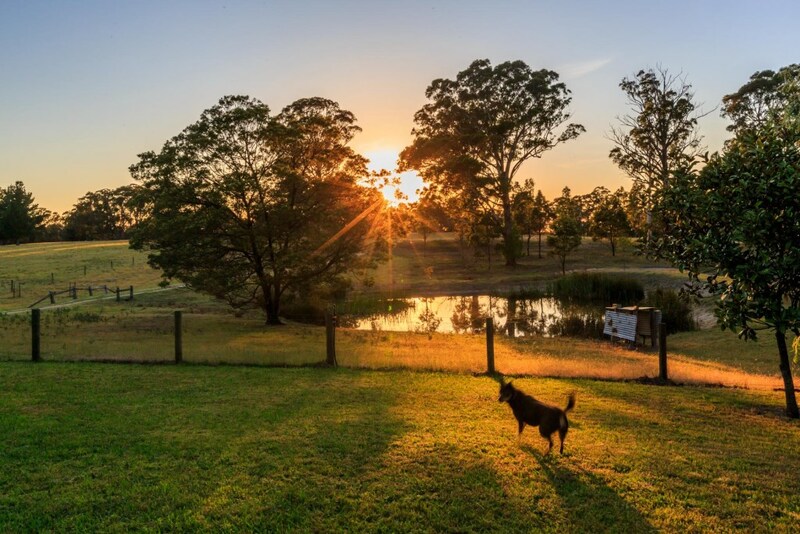 All set on 50 acres of rolling farmland with a backdrop of native bushland to explore. The kitchen is stocked to feel like a home away from home. Slow cook, blend, stir fry or sizzle your way to a fabulous meal with cooktop, oven and microwave. Plenty of plastic ware for the little people in your lives and dining outdoors, plus salt and pepper, cooking spray, foil, cling wrap supplied for your convenience. Coffee pod machine and arrival tea/coffee amenities are also provided. In the cooler months enjoy a cosy log fire (with all wood provided), or just switch on the split system for instant warmth and comfort. Stretch out on the plush leather sofa for some screen time in front of the 55 inch HD TV, or plug your favourite tunes into the portable speaker and dance like no-one’s watching (did we mention the privacy and seclusion?). Deluxe hotel quality linen and towels are provided for each guest. For stays exceeding 7 nights’ fresh linen and towels are provided on a complimentary basis. Laundry features LG washing machine plus all the things you’ll need to keep your house in order after a day at the beach. Pets that are clean and flea free are most welcome but must be past the chewing phase. Pets are permitted to enter the house and stay on non-carpeted areas. Pets are not permitted into the carpeted bedrooms for hygiene reasons. One large or two smaller dogs are permitted per stay. If your furry friend prefers the great outdoors there is a partly enclosed dog run adjacent to the homestead with kennel for your pet to call home. The house yard is also securely fenced for children and pets to roam freely and safely around the lawn area. Living Area: Open plan kitchen/dining area, main living area/lounge, and smaller reading area/kids rumpus. 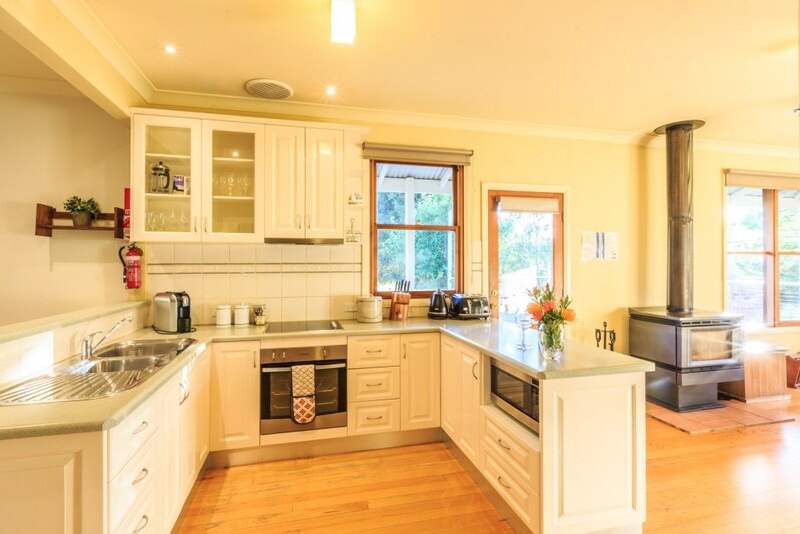 Kitchen: Modern & well equipped kitchen with extensive cookware and gadgets. Garden: Enclosed yard around house, with fenced dog run/kennel. Car Parking: 5 cars plus ample trailer parking. 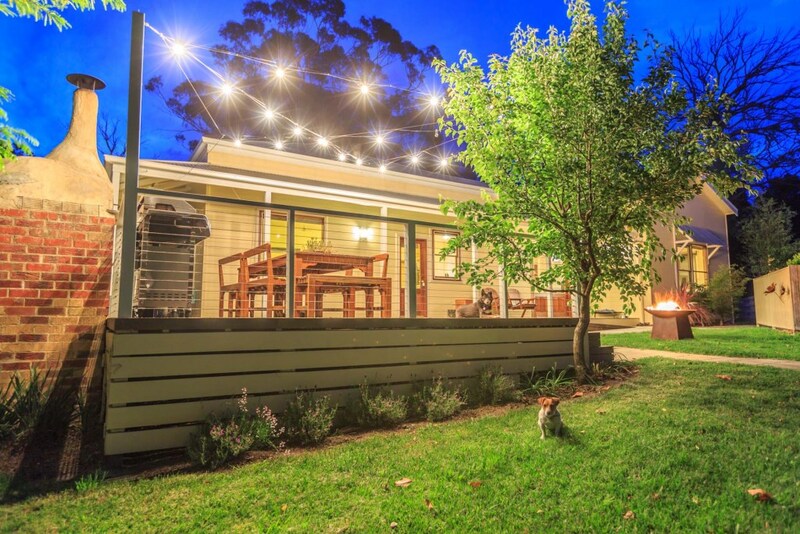 Entertainment area: Huge verandah with outdoor setting, pizza oven and BBQ, overlooking paved area with outdoor spa. 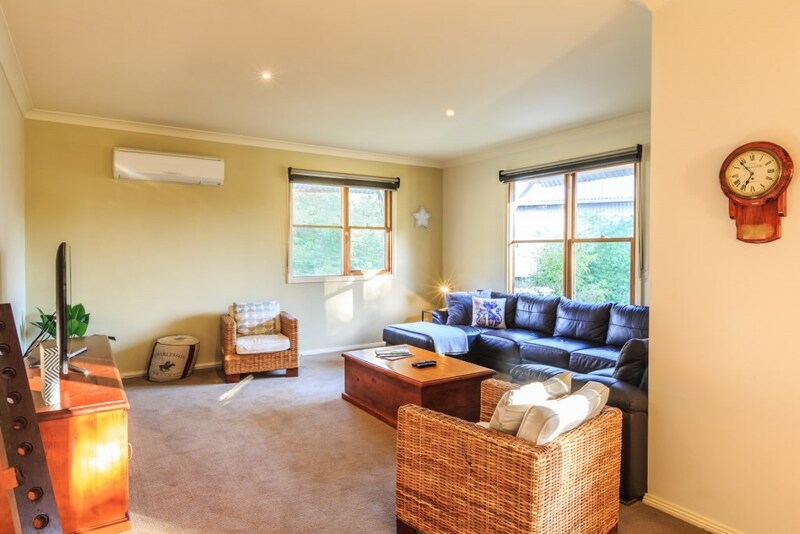 Heating/Cooling: Reverse Cycle in main bedroom and area, plus wood fire (wood supplied). Ocean: 15 minute drive to 90 mile beach. 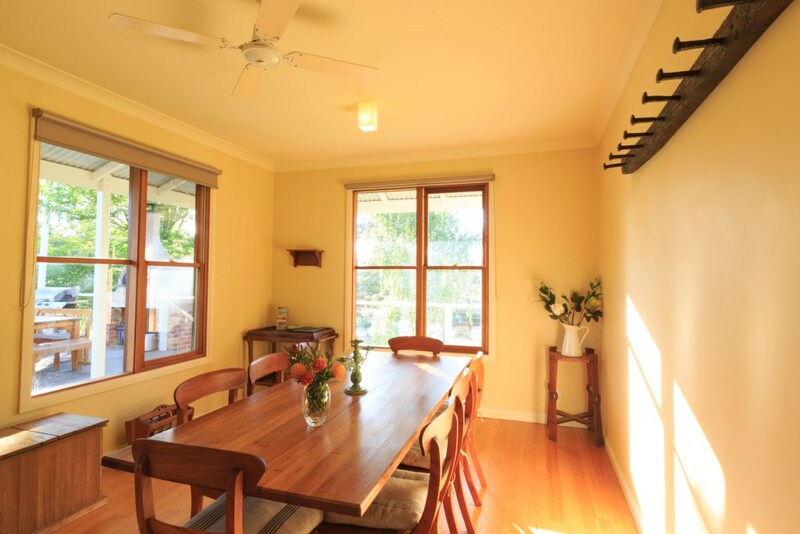 Shops: 10 minute drive to Metung, or 15 minutes to Lakes Entrance. Activities close by: 4 minute drive to Gippsland Lakes, perfect for water sports, fishing and swimming. 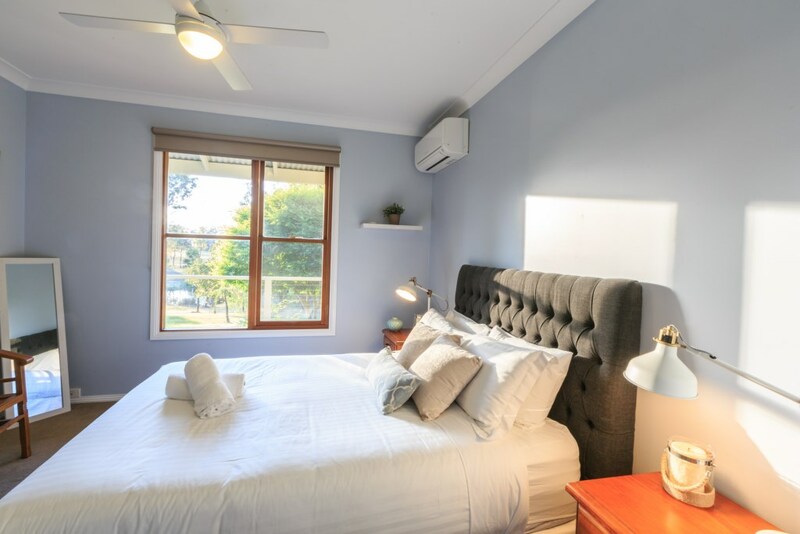 World class mountain bike riding in Colquhoun Forest (5 minute drive), coastal beaches, explore nearby galleries and contemporary jewellery studio, fabulous shopping in nearby tourist villages and towns plus great restaurants/pubs, weekend farmers markets. Rates range from $250-$325 per night for 2 guests, depending on time of year.